That was a really long week. I feel completely drained and spent. So much has happened to me in one week that I am too overwhelmed right now to properly reflect upon it clearly. 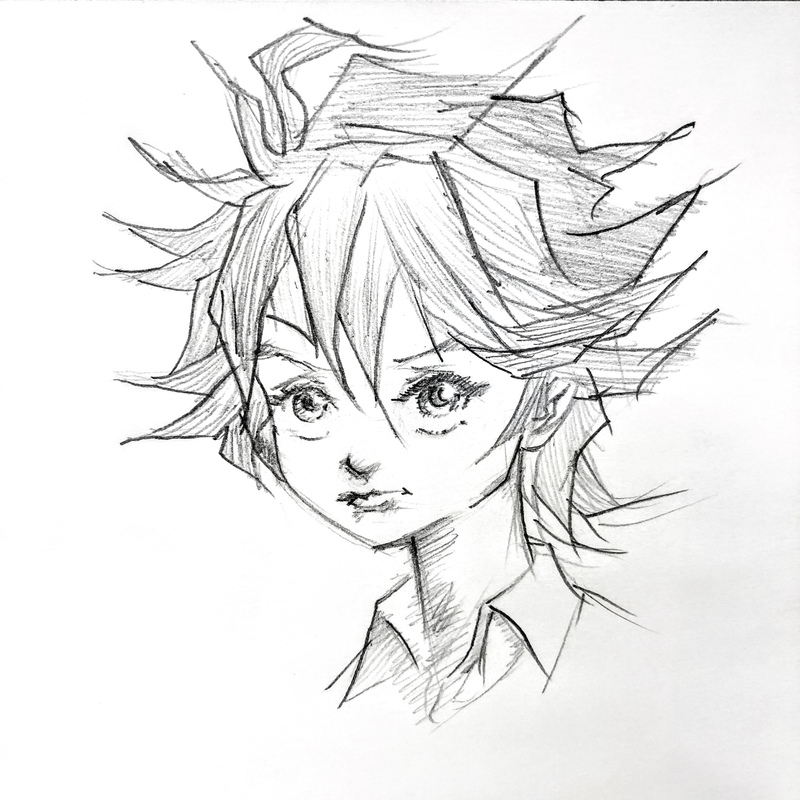 I did want to get in a sketch for the day, so here is my super fast scribble sketch (about 15 minutes at lunch earlier) of Emma from my latest manga obsession “Promised Neverland” running in Shonen Jump. OMG It’s so gooood. It’s what “Maze Runner” wished it was but failed to become (so far anyways, but I’m only on volume 2 at this point). Here’s to a hopefully a good weekend of recovery and not too much snow.